Kempston Cleaning Services provide world class Healthcare Cleaning Services by utilising the best cleaning & hygiene procedures and products. 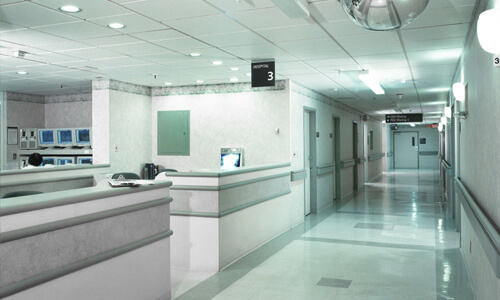 We clean Healthcare centres including hospitals, clinics and private specialist’s rooms. Our services are fully customised as we determine which procedures and products to use based around your cleaning requirements. When using Kempston’s Healthcare Cleaning Services, one can rest assured that the equipment in your facilities will not be impaired by our industry leading cleaning procedures. Our team of experienced Healthcare Cleaning professionals are able to get to those unknown places which you’re not able to find. Kempston Cleaning Services is a highly recommended in cleaning and hygiene industry, providing the best Retail Cleaning Services. Our Services cover Cape Town, Johannesburg, Durban, East London & Port Elizabeth. We take pride in our work and strive to offer our clients superior quality and brilliant customer service. We provide a safe and professional Service at very modest rates. With Kempston Healthcare Cleaning, you are always guaranteed of a caring service! We’re enthusiastic about the work we do and endeavour to achieve the extraordinary. This is the reason why we’ve earned such a good status and reputation with some of the leading healthcare institutions as a recognised hygiene solutions provider. As a client, you’ll be treated as if you are our most significant customer. Kempston’s Cleaning and Hygiene Services are vast, and include Cleaning of Retail properties, Hygiene Solutions for Schools, and more.